Join us downtown for food, fun, and bicycling on Saturday, March 23rd!! 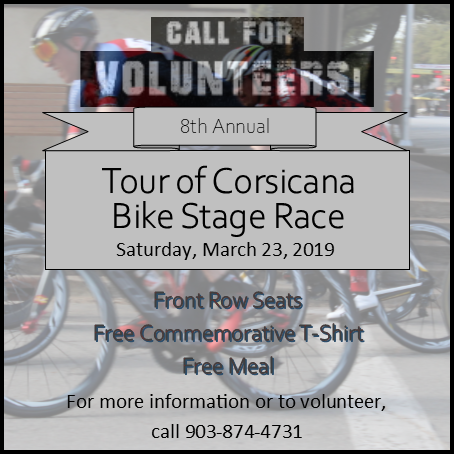 Visit tourofcorsicana.com for more information about this race, attractions, schedules, and more! Individual time trial begins at 8:30 a.m. on Saturday morning. Bring your family and friends down to join the fun!